Cake provides a perfect talking point at any event for anyone who sees it, and most importantly, eats it. This is why I love making them so much! 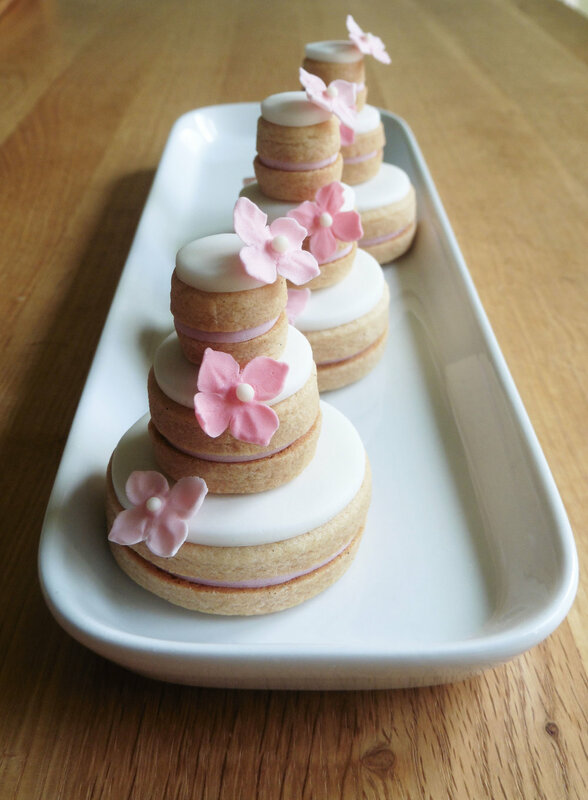 My name is Helen Alborn and I am dedicated to creating stunning, bespoke wedding cakes, special celebration cakes, cupcakes and biscuits. Everything is designed and crafted especially for you from my business based in Anstey, Leicestershire. Perfectly placed to deliver across the Midlands and beyond. If you have a specific cake in mind, a particular theme or colour scheme to work with, or just need inspiring, please take a look at my galleries. Together, we can produce the perfect cake for your needs. To keep up to date with my current work, please visit my facebook page, or feel free to contact me for further information. You can also see some kind words from previous customers on my testimonials page. The beauty of a bespoke service is that your dreams and ideas can be realised within your budget and hopefully without having to compromise. Whether your style is contemporary or traditional, your wedding cake will be designed just for you, to complement your theme or colour scheme and can draw inspiration from your wedding attire, bouquet, stationery and venue. Your cake will be delivered and assembled at your venue so you can relax on your big day. Every wedding cake should be memorable for all the right reasons. Cupcakes can be simply decorated with a swirl of freshly made buttercream, or have more complex handmade decorations created just for you to match your theme. Baked and decorated to order in your favourite flavours, cupcakes make great personalised gifts for any occasion packaged in a choice of gift boxes tied with ribbon and a personalised gift card. Or, why not try something different for your wedding day? Having an array of delicious cupcakes at your wedding can also give that wow factor. Coupled with unlimited design and flavour options, you can create a wholly personalised and unique display that will definitely have something that will appeal to all your guests. Of course, it wouldn't be a wedding cake without a cutting cake, so you could add one or two tiers to top your display, or create a fashionable dessert table. Favours are an excellent way to add that special touch to your wedding, giving a more personal, and delicious, gift to the guests attending your big day. I will work with you to create favours that are specifically designed for you. With your input, we can work together to reflect your own personal style. The possible choices really are endless, and with your help, together we can create a truly personalised cake. Freshly baked in their favourite flavours too, their celebration can be just that bit more special.